Sammy, the brilliant man behind Palm Addicts, asked me if I would like to have a fun contest on his site. I jumped at the chance. Palm Addicts is one of my favorites sites covering every day use of smartphones. I also follow Sammy on Twitter as his twits are often humorous, informative, and a great entertainment. And without further ado, the contest. Contest, Smart Box Games, WordPop! To the left is a screen shot of WordPop!, our best selling word game. Two ways to win. Try to find the longest word you can, and then submit it to our forum. Just like the rules when you play WordPop! on your device, each letter in the word must be adjacent to the next, for example, RIPE. Contest, Smart Box Games, Windows Mobile Games, Word Monaco, WordPop! Below is the press release for the award we are up for. It is always fun when our peers nominate us for an award and this is a big one. It will be a few months before we know if we won and the other nominations are pretty great too. I must admint it would be great to win. 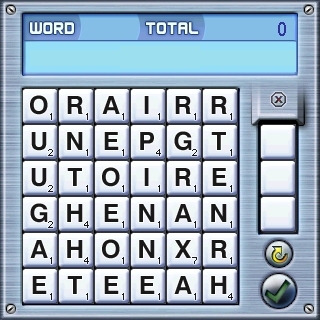 BELLINGHAM, WA – August 27, 2007 – The “Smartphone & Pocket PC Magazine” staff and its board of experts have nominated the Windows Mobile versions of “Word Monaco Solitaire” and “WordPop!” for a 2007 Best Software Award in the category of “Word Puzzles”. WordPop! challenges players to spell words in a checkerboard of letter tiles, with letters being eliminated as words are spelled with them, until the player eventually clears the board. WordPop! was a finalist in 2006 Best Software Award. Word Monaco Solitaire plays like a standard game of solitaire but with letters. Players may only lay a card on a stack if that stack will result with a word. Players win if they manage to overturn every card and each stack of cards spells out an entire word. Smart Box Design is located in Bellingham, WA and creates many puzzle and strategy-based games for Treos, Palm devices, Windows Mobile Phones, Macs, and PCs. Contest, Smart Box Games, Treo Games, Word Games, WordPop! To the left is a screen shot of WordPop, our best selling word game. Two ways to win. (1) Try to find the longest word you can, and then submit it to our forum. Just like the rules when you play WordPop on your device, each letter in the word must be adjacent to the next, for example, RIPE. (2) Find at least 10 words and be one of the randomly selected winners. 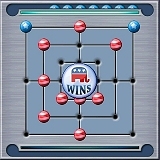 Thank you for all the great responses to the Democrat versus Republican version of Triples. Three winners have been selected, one for the fastest post and two selected randomly.